If you were around in 1980 and privy to the men’s tennis final at Wimbledon between Björn Borg and John McEnroe, then you will remember the incredible buzz surrounding this great event between the two protagonists. The pair were diametrically opposed: one cool, calm and collected, the other fractious, arrogant and argumentative. Together they changed the game forever. 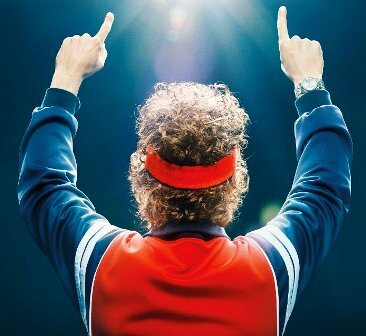 Hot on the heels of the recent Battle Of The Sexes, which covered the competitive match between Billie Jean King and Bobby Rigg - another event that captivated the fans - Metz’s Borg vs. McEnroe is equally compelling. 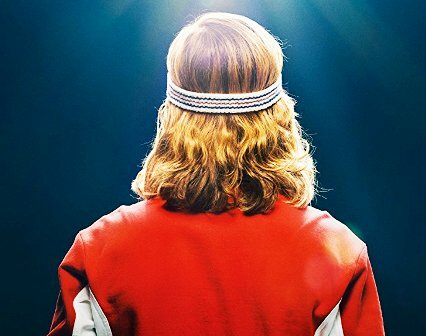 Ronnie Sandahl’s screenplay flashes back to the early days in both players’ lives when they first became interested in the game, but more importantly when their personalities were developing. We learn how Borg (Sverrir Gudnason) grew up with the same competitive nature and self-doubt as McEnroe (Shia LeBoeuf) but each developed their own traits to cope with the stress of their up-coming careers. Although Borg was known for his ice-cold calm, he expressed a volatility in his younger years that was eventually brought under control by his coach Lennart Bergelin (Stellan Skarsgård). McEnroe, on the other hand, was a high achieving super-brat who did not hold back on his emotions and created controversy on the court when he argued with umpires and took out his frustration on his tennis rackets. Both players were incredibly obsessive in their preparations and this is revealed in some bizarre moments in the film. Metz has been quoted as referring to the players as being akin to “drug addicts” in that they were addicted to the game and it totally overtook their lives, affecting their friendships, their partners and their sense of well-being. The pair were totally competitive as both overwhelmingly wanted to win, but for Borg it was particularly important as it would have been his fifth win at Wimbledon. The recreation of the final is simply riveting. The action on the court involved meticulous planning using stand-ins to create exact images that could be intercut and used from all positions, so you feel as if you are court side and very much part of the action. The crane shots directly above the players are particularly impressive. Borg vs. McEnroe is a real treat and opened the Toronto International Film Festival this year. It would have been an exhilarating evening and a fabulous choice for an opening night film. You certainly don’t have to be a tennis fan to feel the adrenalin ripping through this skilful piece of film-making. It’s as entertaining as the personalities it exposes and shows how you need more than sheer determination and talent to overcome such physical challenges.